Technology has the power to transform virtually any industry when it’s used correctly. In the UK at the moment, the public sector seems to need this innovation more than ever, to help overcome everything from skills shortages, to overwhelming uncertainty caused by the impending departure from the EU. Governments and public sector teams will need to ensure that their technology can cope with whatever the future has to offer. On top of that, there are rising concerns about privacy, data usage and digital transformation to consider. Here are some of the trends on the public sector horizon. Whether it’s foreign threats attempting to compromise government IT networks or internal attacks, there’s a good chance that we’ll see one or two significant shutdowns in the public sector this year. We’ve already seen problems among the NHS and other entities in recent years, as malicious forces continue to seek out vulnerabilities in computer systems. It will be crucial for public sector companies to make sure that they have the right security systems available to keep their information and communications safe. Additionally, re-training into online etiquette may be necessary as digital attacks become subtler. We may also see a rising demand for standardised solutions for firewalls, vulnerability management tools, and filtering gateways. The way that the public sector collects and uses personal data was a frequent topic of conversation in 2018. After the Cambridge Analytica scandal, an increasing number of UK citizens have been demanding more control over their data. This search for better privacy is set to continue throughout 2019, as people around the country scramble to learn what’s happening with their information. The good news is that even despite privacy problems, annual research shows that public sector groups like the NHS still maintain higher levels of trust when it comes to the use and storage of personal data than any other sector. READ Will Chatbots Replace IVR? After years of discussion, the Internet of Things roadmap for the UK could begin to find it’s footing with 5G on the way. For a while now, the country has lagged when it comes to IoT and smart device spending, but that could be about to change, helping governments to come up with new and innovative ways to protect and support the public. 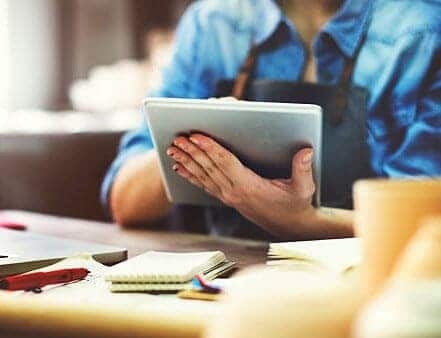 Finally, as concerns around Brexit continue, the demand for mobile and remote working strategies will continue to skyrocket. As part of a plan for leaving the EU, the government will need to scale their systems to ensure that employees can access resources securely, and quickly wherever they are. This means that many applications will begin to move into the cloud. Communication and collaboration solutions like RingCentral Office will form the foundation of an environment where public sector workers can get more done whether they’re inside the office, at home or on the move. 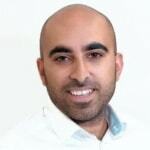 AuthorSunny Dhami is the Senior Director of Product Marketing & GTM for RingCentral, managing the EMEA Product Marketing team and driving product marketing deliverables for RingCentral EMEA and strategic telecom partners. Working collaboratively with RingCentral teams globally to deliver projects and develop product messaging and positioning. Sunny is based in RingCentral’s London Office.